For the first time, a team of astronomers has succeeded in investigating the earliest phases of the evolutionary history of our home Galaxy, the Milky Way. The scientists, from the Argelander Institute for Astronomy at Bonn University and the Max-Planck Institute for Radioastronomy in Bonn, deduce that the early Galaxy went from smooth to clumpy in just a few hundred million years. The team publish their results in the journal Monthly Notices of the Royal Astronomical Society. Led by Professor Dr. Pavel Kroupa, the researchers looked at the spherical groups of stars (globular clusters) that lie in the halo of the Milky Way, outside the more familiar spiral arms where the Sun is found. They each contain hundreds of thousands of stars and are thought to have formed at the same time as the ‘proto-Galaxy’ that eventually evolved into the Galaxy we see today. 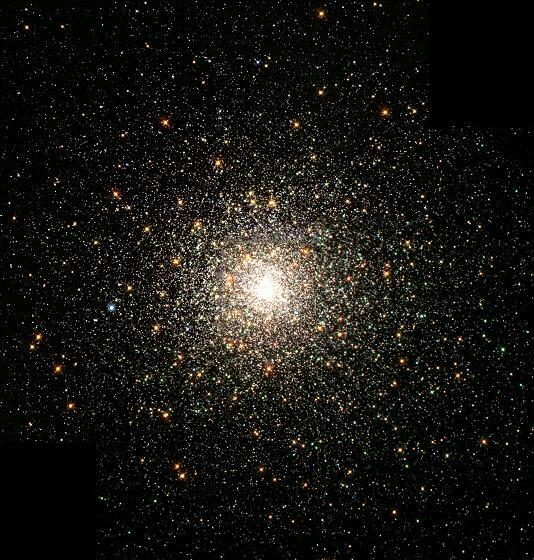 Globular star clusters can be thought of as fossils from the earliest period of the history of the Galaxy and the astronomers found that they left a hint of the conditions under which they formed. The stars of the clusters condensed out of a cloud of molecular gas (relatively cool hydrogen), not all of which was used up in their formation. The residual gas was expelled by the radiation and winds coming from the freshly hatched population of stars. “The amount of e.g. iron in a star is therefore an age indicator. The more recently a star cluster was born, the higher the proportion of heavy elements it contains”, adds Marks. 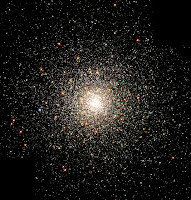 But since the globular clusters are more or less the same age, these age differences can't be large. In order to explain the variation in the forces exerted on different globular clusters, the structure of the Milky Way had to change rapidly within a short time. Prof. Kroupa summarises their results. “In this picture we can elegantly combine the observational and theoretical results and understand why later forming, more metal-rich clusters experienced stronger force fields. On the back of this work, for the first time we have a detailed insight into the earliest evolutionary history of our Galaxy”.